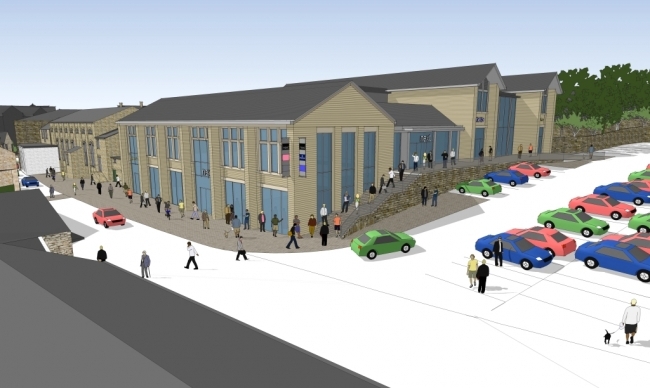 Maple Grove Developments, a division of the Eric Wright Group, has revealed the tenant line-up for the £8.5m Albion Place development in Skipton town centre. Next, Pizza Express, Cotswold Outdoor Ltd and Dawsons Department Store have all snapped up space in the 46,000sq ft development which is expected to create more than 150 permanent jobs and will offer customer parking for 330 cars. Strong interest is being shown in the remaining two units. The development will complement the town’s strong retail portfolio, with existing retailers including House of Fraser, Laura Ashley, 02, New Look and Edinburgh Woollen Mill. Graham Pilkington, senior development surveyor for Maple Grove Developments, said he was delighted with how much interest the scheme has generated. Albion Place will offer something new to a thriving town at the gateway to the Dales. “It is an exciting project that will provide people in Skipton and beyond a modern shopping and dining experience in a high quality environment. “We’re delighted that we have been able to secure such a high profile tenant line up and our sister company, Eric Wright Construction, has already started work on site. We have been looking at our next location for quite a while now and Albion Place ticks all the boxes for us. Skipton has a similar customer base to Clitheroe and we feel we can offer something new to its shoppers.“We’ll be launching the same brands that are so popular in our Clitheroe store and look forward to meeting our new customer base. It’s a very exciting time for us and the new location and premises are an excellent fit with the Dawson’s brand. The scheme is expected to be completed before Christmas 2013, with tenants all looking to commence trading prior to Easter 2014.